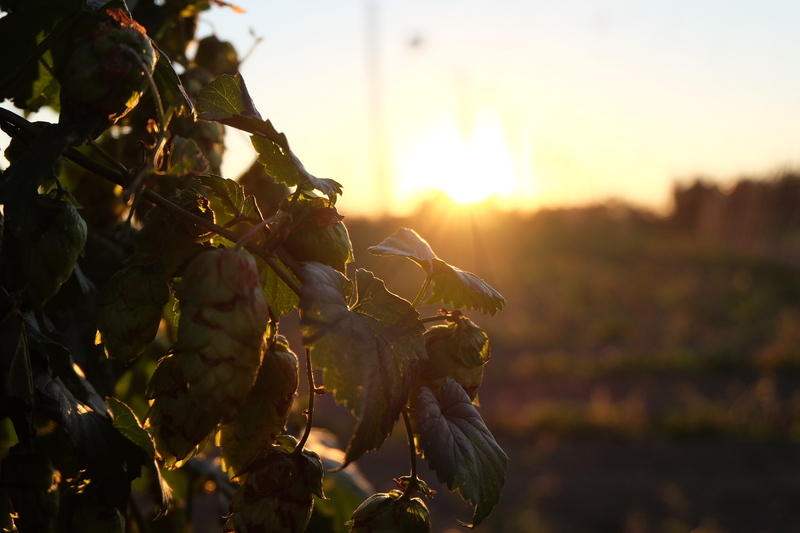 It’s fresh hop season, the time of year when beer enthusiasts clamour to get their sweaty hands on the latest limited release from a bunch of local breweries. 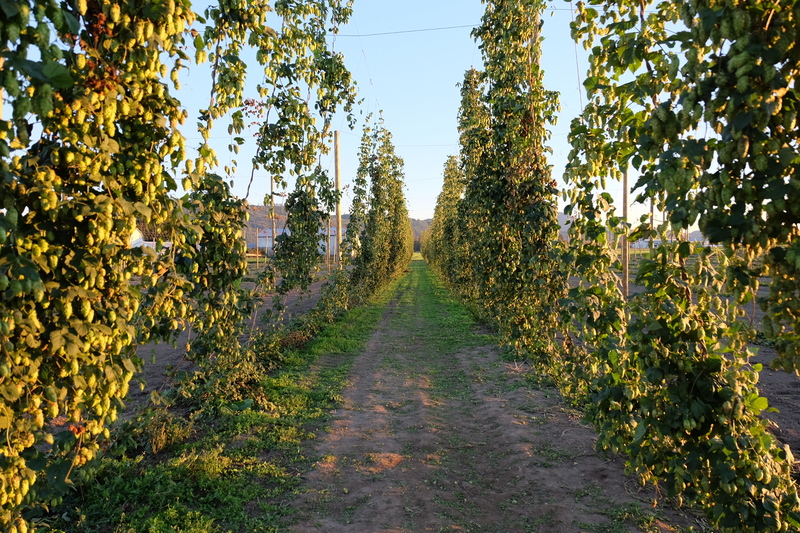 It’s also the time of year when local hop farms are cleaning up after the harvest. I love hop season, it’s where I do my best trolling on Twitter. This year I’ve decided to use my powers for good though, sorry. There are some wonderful fresh hop beers hitting the shelves of your favourite local beer shop this week. 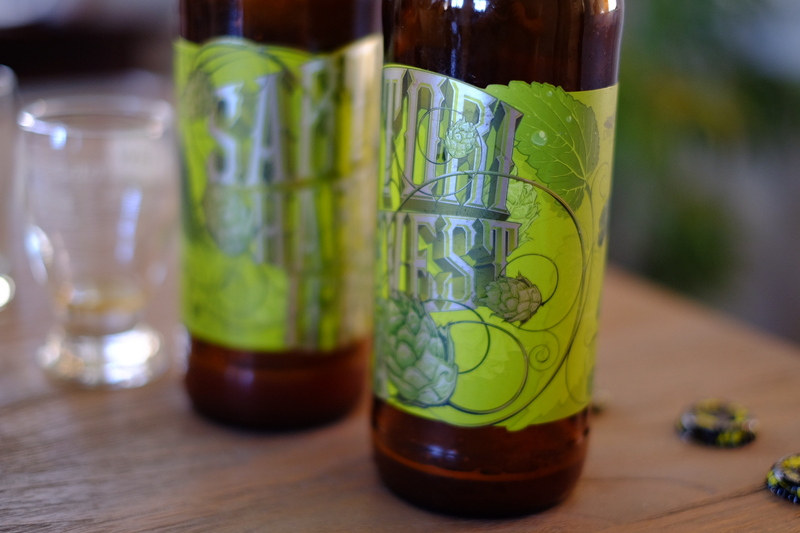 Driftwood’s Sartori Harvest is the King and it’s already sold out except for a couple of kegs here and there. Some of you might remember last year when I accidentally aged a bottle of Satori (I forgot about it in the back of my beer fridge). Turns out it wasn’t half bad when I drank it and that inspired fellow beer enthusiast Andrew, aka @silversurfs, to do a little experiment with a few bottles of last year’s Sartori. BLASPHEMY! Calm down everyone, it’s just beer and science is cool. Sartori with a hop RIGHT IN THE GLASS. 3 bottles, one left in the fridge for a year, one left in the cupboard, and one properly cellared. The cellared bottle was the clear winner, it was actually quite good. The hops had obviously mellowed but we were all surprised how well it stood up to cellaring. The bottle from the fridge had the best hop preservation but it wasn’t as balanced. The bottle from the cupboard… let’s say you tried to hide a bottle from your thieving roommate so you stuck it behind a mason jar full of organic quinoa and somehow forgot it was there. 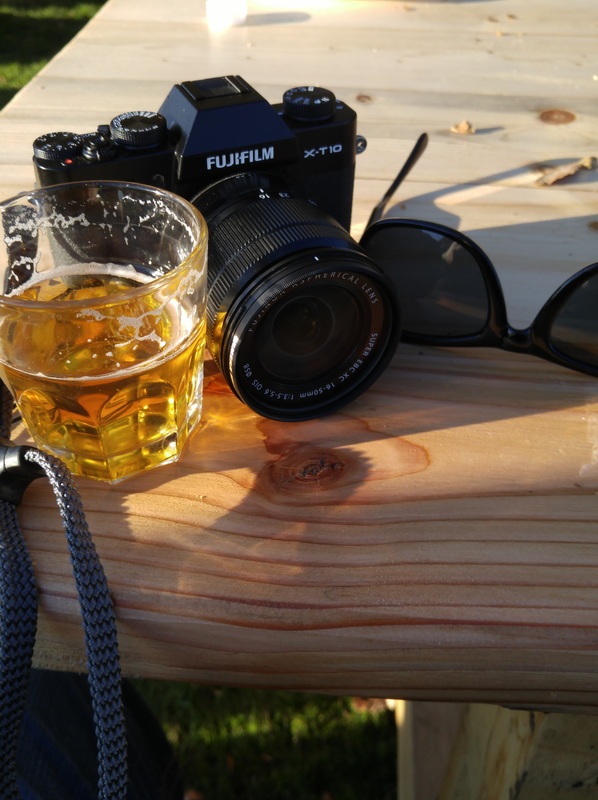 Fear not forgetful hippie, your beer is still drinkable! It’s the worst of the bunch but ya, you can drink it. 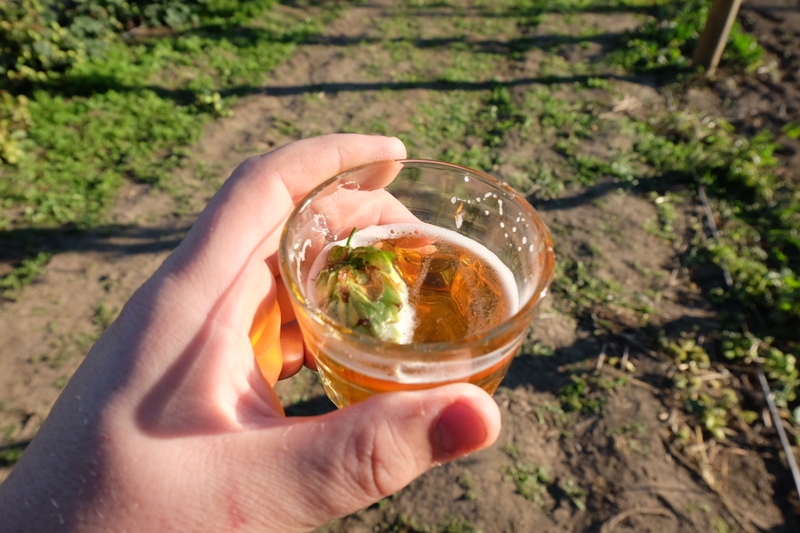 Should you cellar a fresh hopped beer? Only if you want people to call you mean things on social media. 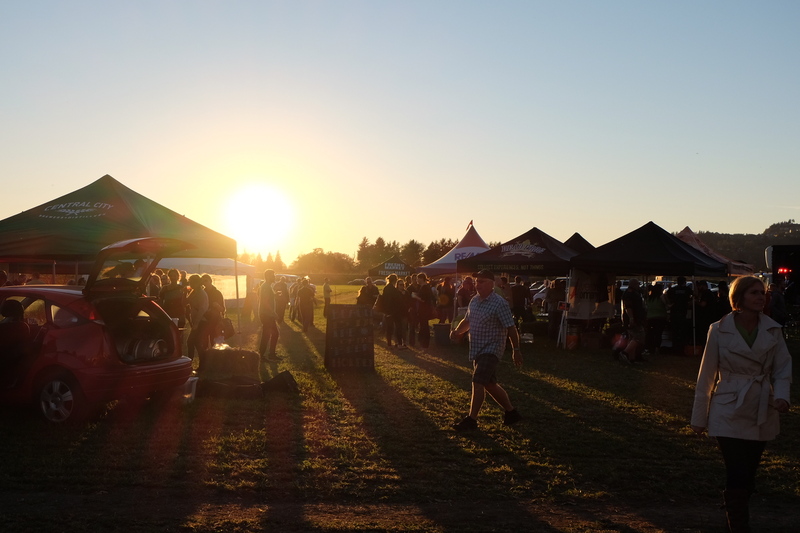 That brings us to the inaugural BC Hop Fest, held at the BC Hop Company‘s farm in Abbotsford, 15 breweries all pouring fresh hopped beer, some already in stores, some hitting the shelves this week, and some that you can’t get anywhere else. Great location, solid entertainment, well run with tons of helpful volunteers, for a first effort it was impressive. They could’ve used more portable toilets but that’s a pretty common issue for first year beer festivals. There it is, fresh hops rule. I’ll end this with my usual “Sartori is a bit overrated” statement. It’s good, but there are other fresh hop releases that deserve to be lusted after as much as if not more than the golden child. Get some Hoyne Wolf Vine, some Philip’s Green Reaper, or really anything that says wet hop or fresh hop on the label. Thanks to Andrew for inviting me to the Great Sartori Experiment of 2015 and thanks to Donna and the BC Hop Fest for having me as their guest. Good times were had by all.